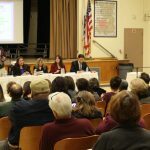 Learn about the candidates running for California’s State Assembly of District 39. Join the conversation that is shaping your neighborhood and attend this forum at the Main Auditorium, Saticoy Elementary School. 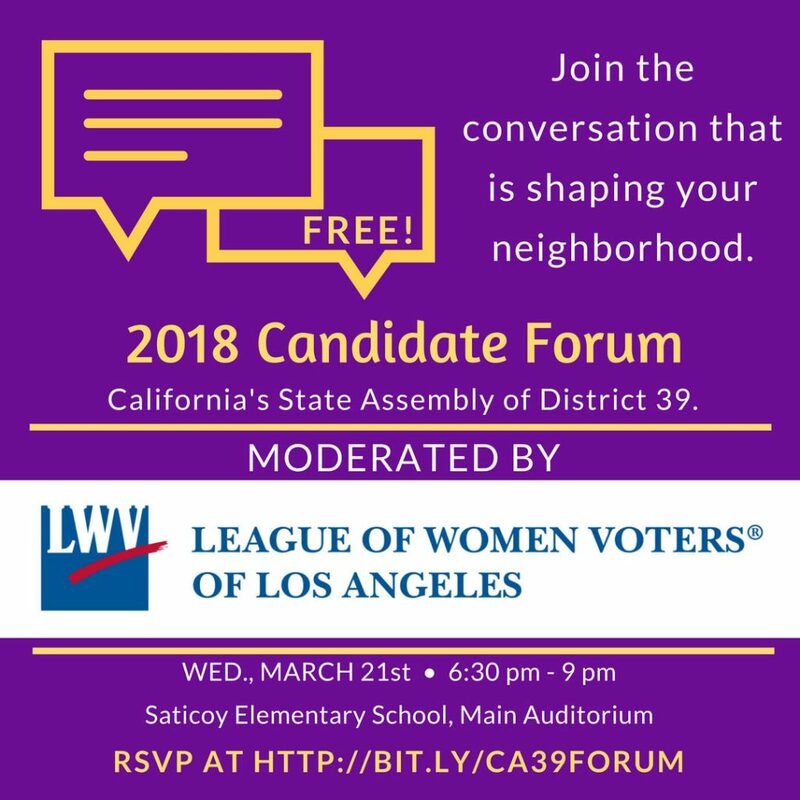 Moderated by the League of Women Voters of Los Angeles with the assistance of participating Neighborhood Councils: North Hollywood West Neighborhood Council, NoHo Neighborhood Council, North Hollywood Northeast Neighborhood Council, Pacoima Neighborhood Council, Sunland-Tujunga Neighborhood Council, & Sylmar Neighborhood Council.